It’s Not For You…It’s For Your Buddy! A Buddy Tow For Your Snow Bike! 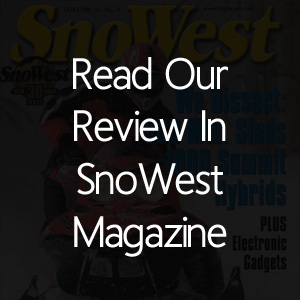 The Snow Bike phenomenon seems to be growing every year as riders are discovering the thrill of conquering the snow on their converted dirt bike! 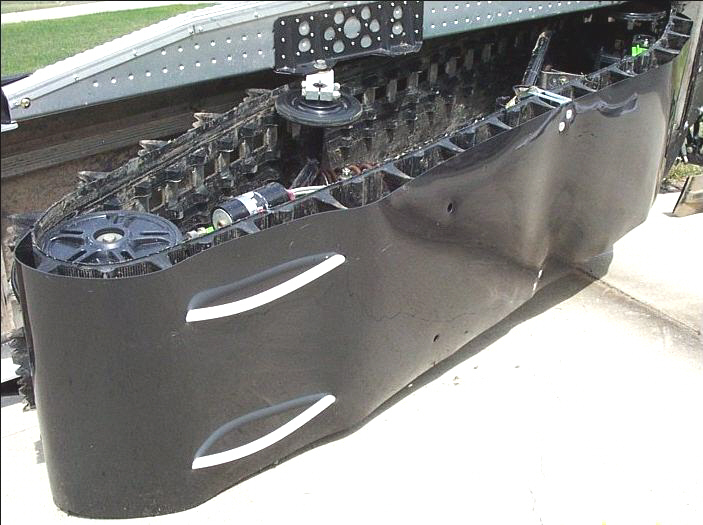 Made of UHMW (ultra high molecular weight) plastic, the Buddy Tow is a slick sheet of plastic that attaches to the track of a broken down snowmobile in minutes—without tools. A series of three bungee cords and hooks secures the Buddy Tow to a track, and the dead sled will glide over the deepest snow. You’ll be able to tow a disabled machine with ease. At less than the cost of a new belt, you’ll save wear and tear on the towing sled, and get back to having fun on the snow sooner! 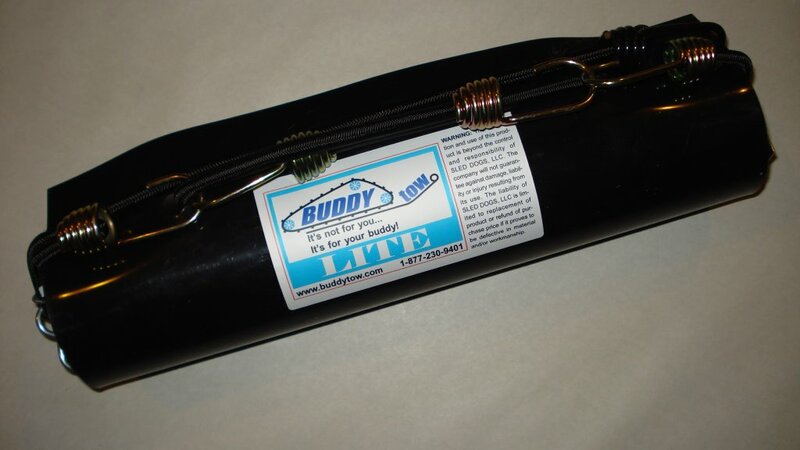 The Buddy Tow LITE fits tracks up to 16” wide and 144” long. 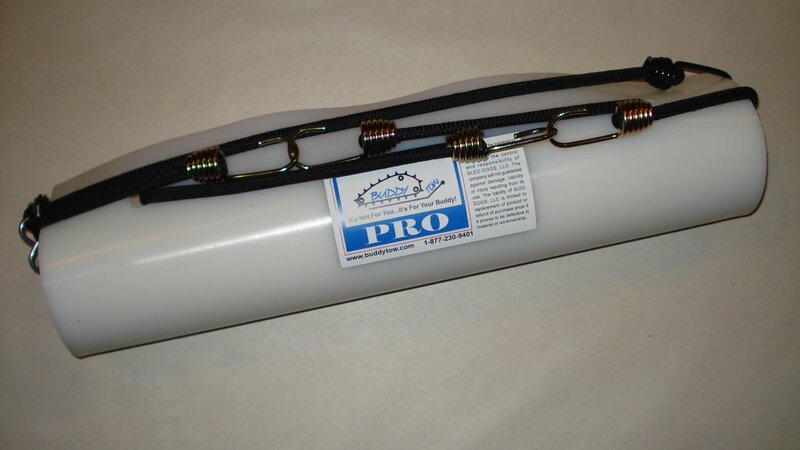 The Buddy Tow PRO fits tracks up to 16” wide and over 144” long. It includes two runners that help minimize “fishtailing” that can occur while towing. If you own a larger “utility” type sled, we can customize a Buddy Tow for your machine as well. The Buddy Tow concept isn’t rocket science, but this compact, lightweight and extremely durable accessory to your sledding arsenal can get you out of a jam if someone in your riding group is left sitting on the side of a trail or stuck in the back country, broken down and miles from your trailer. 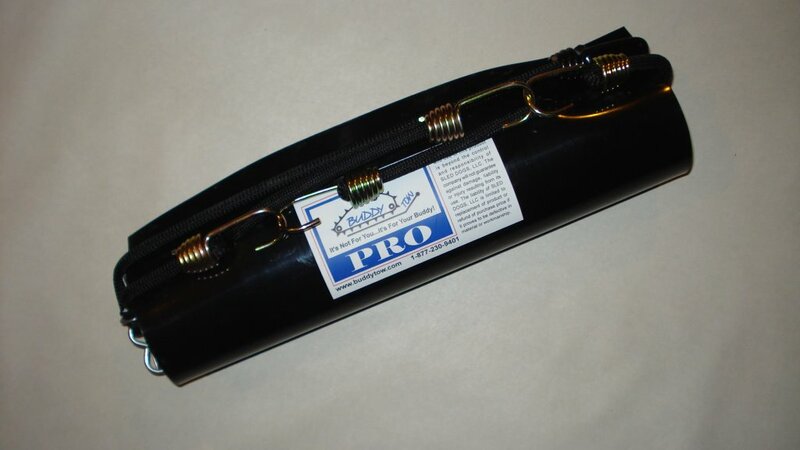 The Buddy Tow can fit into a backpack or tunnel bag, or you can strap it to your sled’s tunnel so it’s always with you. If you prefer, leave it in the trailer or truck so it’s available if needed. We’ve all had to deal with a broken down machine at one time or another. There’s nothing easy about the situation, and if you end up having to tow it in, the Buddy Tow is a lifesaver! The number of calls from satisfied customers we receive each winter has proven to us that the Buddy Tow is an invaluable accessory well worth having along on the trip!